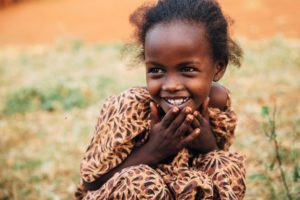 Recently, we wrote about on the many challenges of hidden hunger, focusing primarily on the ways micronutrient deficiencies impact children across the globe. Here we take another in-depth look at the issue through an interview with Nicole Coglianese, Senior Health and Nutrition Technical Advisor at Food for the Hungry. WFB: Nicole, how does the consumption of micronutrients influence our health? NC: Micronutrients (vitamins and minerals) are required in small amounts, but have a big impact on growth, metabolism, and overall well-being. Vitamins and minerals help the body to convert food into energy, fight infections, oxygenate tissues, regulate blood sugar and blood pressure, support vision, blood clotting, brain function, and nervous system, digestive system and muscle function. Inadequate intake of essential micronutrients leads to a micronutrient deficiency. Deficiencies are caused by poor dietary diversity, low bioavailability of nutrients, and nutrient loss during illness. The severity of the deficiency depends on the micronutrient and can range from minor to pernicious. Micronutrient deficiencies are often called “hidden hunger” because someone might not look hungry or malnourished (they may even be overweight), yet have deficiencies of essential micronutrients. While there are 13 essential vitamins and 16 essential minerals, Vitamin A, Iron, Zinc, and Iodine deficiencies cause the highest burden of disease globally. Vitamin A deficiency results in night blindness and impacts child survival because it weakens the immune system and increases the risk of morbidity and mortality from disease. Iron deficiency can lead to anemia which causes weakness and fatigue, as well as developmental delays for children. Iron deficiency during pregnancy and early childhood can significantly impair child growth and mental development, and anemia during pregnancy contributes to postpartum hemorrhage and increased risk of maternal mortality. Iodine deficiency during pregnancy and the first years of life can cause permanent physical, mental, and cognitive damage, and is said to be the primary cause of preventable brain damage among children. Zinc deficiency compromises immune function and is associated with an increased risk of stunting in children, gastrointestinal infections, and is a factor for child deaths from diarrhea. Folate and vitamin B12 deficiencies also have severe consequences such as fetal neural tube defects, and vitamin D and calcium deficiencies cause rickets and delayed grown in children, as well as osteoporosis and osteopenia in adults. Domestically, calcium, iron, potassium, and vitamin D deficiencies are more common and are referred to as “nutrients of public health concern.” It is also possible to take in too much of a micronutrient. Sodium, for example, is found in excess in the American diet. Too much sodium over time can contribute towards high blood pressure and increase the risk for heart disease, stroke, and kidney disease. WFB: As the Senior Health and Nutrition Technical Advisor at Food for the Hungry, what recommendation would you make so that we all take in more (and maybe more diverse) micronutrients in our daily diets? NC: The best way to take in the recommended amounts of essential vitamins and minerals, is to eat a diverse diet consisting of a variety of nutrient-dense foods, from a variety of sources. Nutrient-dense foods are naturally lean and low in saturated fats, with little or no added sugar, sodium, or refined starches. Examples of nutrient-dense foods include whole grains, dairy products, eggs, lean meats and fish, nuts, seeds, vegetables (especially green leafy vegetables and those high in Vitamin A), fruits, and beans and peas. Eat foods from all of the food groups, in a variety of colors, consume plant and animal-based proteins, and limit processed foods. Domestically, following the USDA Dietary Guidelines for Americans is a great way to ensure adequate dietary intake of micronutrients. For those unable to consume a diverse diet, or those with a specific medical condition, a supplement may be required to meet micronutrient needs. For example, women should take an iron and folic acid supplement during pregnancy. Individuals on certain diets, such as vegans, may also need to supplement for certain micronutrients such as Vitamin B12, calcium, iron, and Vitamin D. Individuals over 50 years of age may benefit from additional Vitamin D and calcium to support bone health. Lastly, the way in which food is prepared can also increase micronutrient intake. For example, boiling vegetables decreases the water-soluble nutrients in the foods. Rather than boiling vegetables, steaming and roasting vegetables can help maintain the micronutrient content of the food. WFB: Previously, we focused on the ways micronutrient deficiencies affected children in Africa, SE Asia, and the US. In your position, what are you finding on the level of adults and elderly when micronutrients are lacking in their daily diets? NC: According to USAID, Vitamin A deficiency affects approximately 10 million pregnant women and 5 million children; iron deficiency anemia affects between 11-16 percent of preschool children and 10-15 percent of pregnant women; and zinc deficiency affects 17 percent of the world’s population (children and adults). I personally focus on maternal and child health and nutrition, so I cannot speak to specific deficiencies in elderly populations in our field. However, in the United States, common micronutrient deficiencies among the elderly include calcium, vitamin D, magnesium, vitamin C, Vitamin E, and Vitamin B6. Micronutrient deficiencies are often common in elderly people due to a number of factors including reduced food intake and a lack of variety in the foods they eat. To learn more about the issue of hidden hunger, read our previous article on the subject.